One of the most beautiful trips I've made in Turkey has been the one we took from Izmir to Cappadocia, making several stops along the way. One of the places we visited was Beysehir, a city situated on the third largest lake in the region. 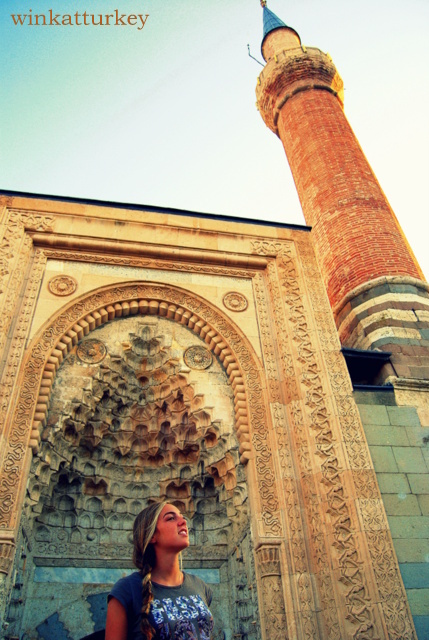 This town has a medieval mosque, that is the most beautiful is in Anatolia. Undoubtedly, one that I liked more. Your name Eşrefoğlu Camii. The mosque is located on lake, which is navigable, so you can make a boat trip and see the mosque from there. The mosque was built by Esrefoglu , under the orders of Süleyman Bey Seyheddin 1296. 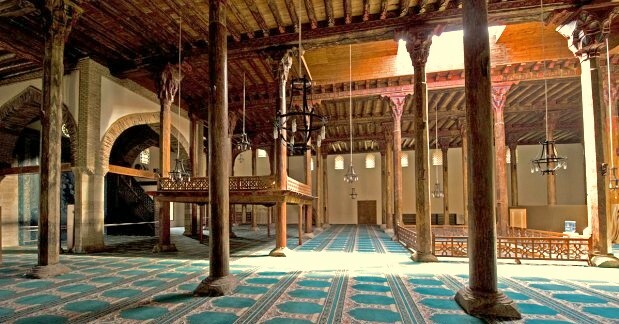 The most striking are his 42 huge wooden pillars, colorful mosaics and mihrab "altar" of blue tiles. 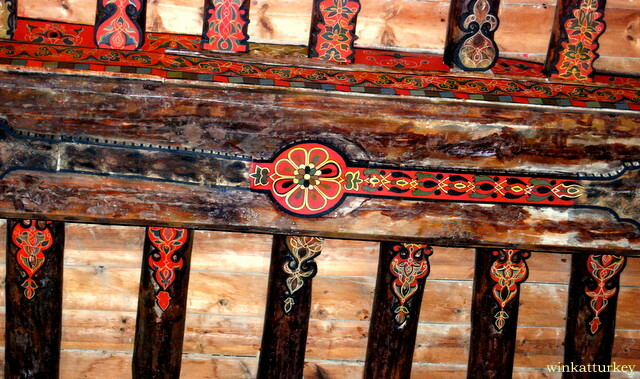 Ceilings, All wood are covered with geometric and floral motifs. Really, Great. Unlike all other, its color and construction with wooden pillars make it very special. Apparently that was formerly open to the sky, but today is covered. 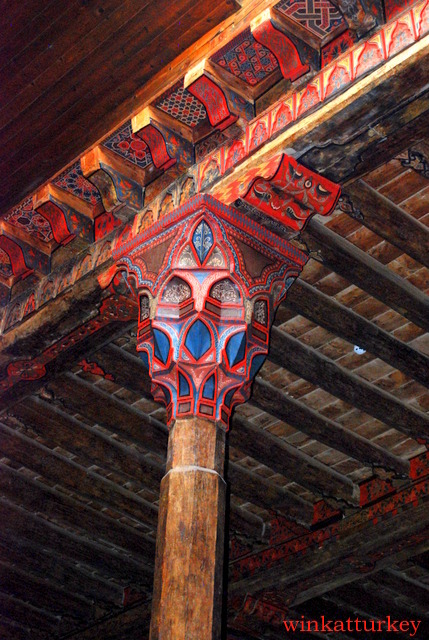 It is one of the most remarkable examples of Anatolian Seljuk architecture. Sign of the entrance to the mosque. Details of the front door.